We firmly determine of quality service development to achieve continually customer's mandatoryrequirement under satisfaction and confidence. Reliability, rapid responsiveness, assurance, honesty, sincerity, sympathy, empathy and equality are our service concept. Therefore, service to customer's specific needs has been arranged for all level of customers. Service Contract : Continual and efficient machinery maintenance is much advantageous for industry and service. 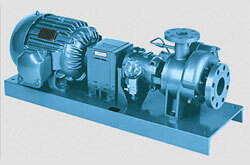 We can certainly decrease shutdown caused by damage and prolong machinery availability period. Service contract is provided for maintenance budget and highest return of investment. 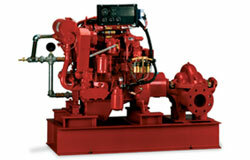 Maintenance and Repair Service : We are experienced and specialize in operation of all mechanical fire pumps. Maintenance, repair and overhaul service by our professional and technical engineers is ready for introduction and consultation. 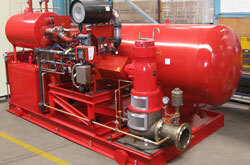 We are experienced and specialize in operation of all mechanical fire pumps. Maintenance, repair and overhaul service by our professional and technical engineers is ready for introduction and consultation. Genuine spare parts are available to support your confidence in quality, duration and labour charged for replacement. It is actually decrease downtime of the machinery. You will be certainly confident in our standard start-up and commissioning test to meet your exacting specification. Besides satisfactory maintenance, internal and external training is our strong intention to convey your valuable pump to standard operation.